More of The Whole Picture series? Here. 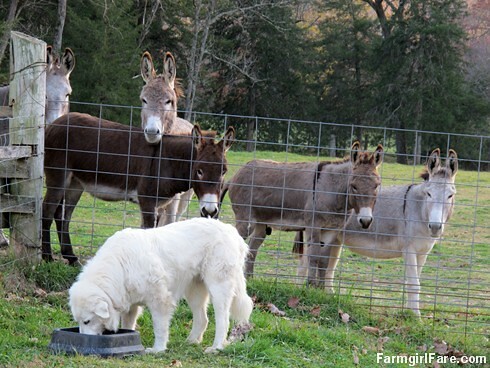 © FarmgirlFare.com, where you don't always get to eat in peace—and that bright red thing in the background of the last photo is a big round bale hay feeder that hasn't been assembled yet. It's still sitting on the trailer, looking like the circus has just pulled into town the farm. 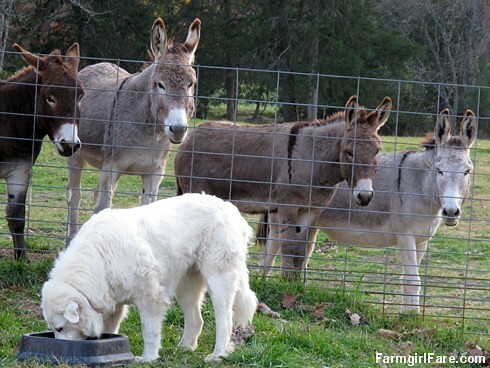 I think the donkeys were wanting some of Daisy's dinner! Hubby's horse sure likes the dog food! LOL!! 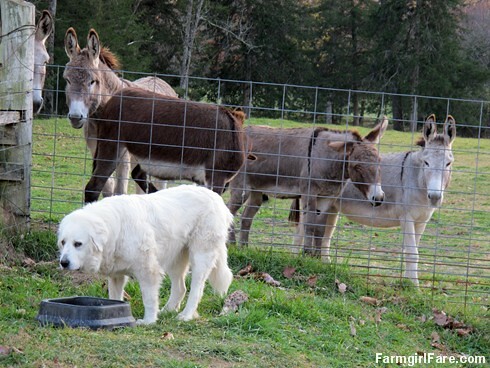 We have to put the dog's food in with the hay, he can get under the fence but the horse and the goats are out of luck. 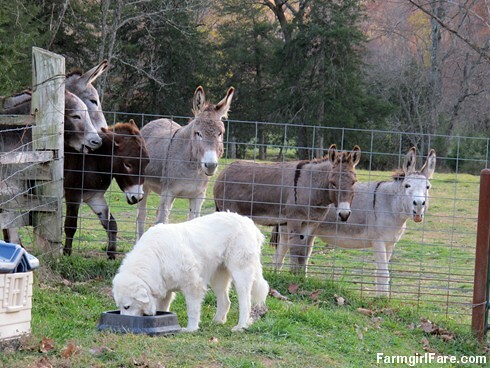 The goats will eat the dog food too! 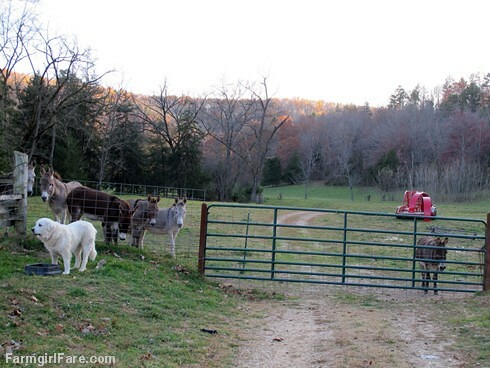 The donkeys are hilarious. 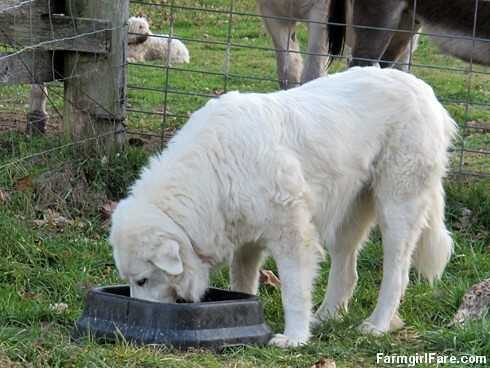 . . but the other dog in the background not eating? 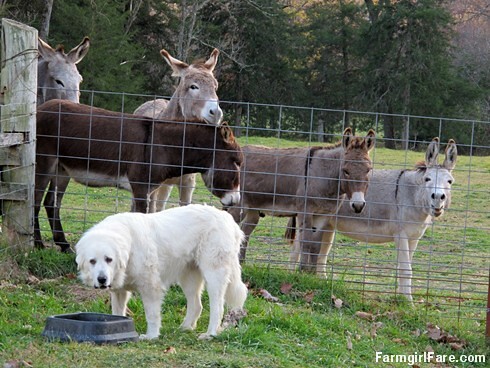 I think the donkeys are looking longingly at Daisy's dinner. Kinda like they think she ought to share with them! So cute! Of all your animals, Daisy is my favorite. I just want to hang out with her. Thursday Dose of Cute: Chase me, Gus! Please?